Last week NOAA and the American Meteorological Society jointly released the annual State of the Climate report for 2017. This massive report looks at the climate across the globe, both in totality and broken down by regions. It is the work of over 400 scientists from around the world, including a number who are my friends and colleagues. 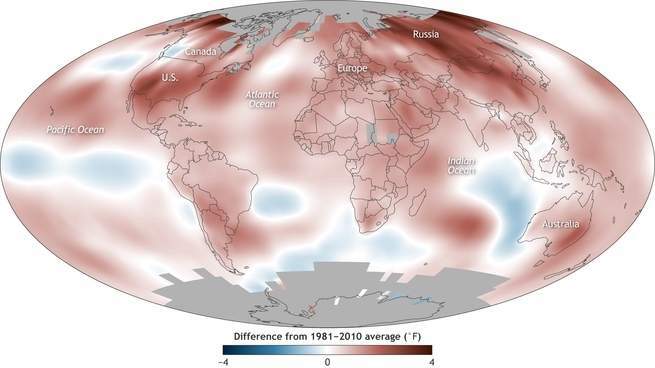 The report is designed to give us a snapshot of the climate conditions around the earth for the last year, and a huge effort goes into making it scientifically accurate. You can read more about the report at Popular Mechanics here or access the report directly at https://www.ametsoc.org/ams/index.cfm/publications/bulletin-of-the-american-meteorological-society-bams/state-of-the-climate/.